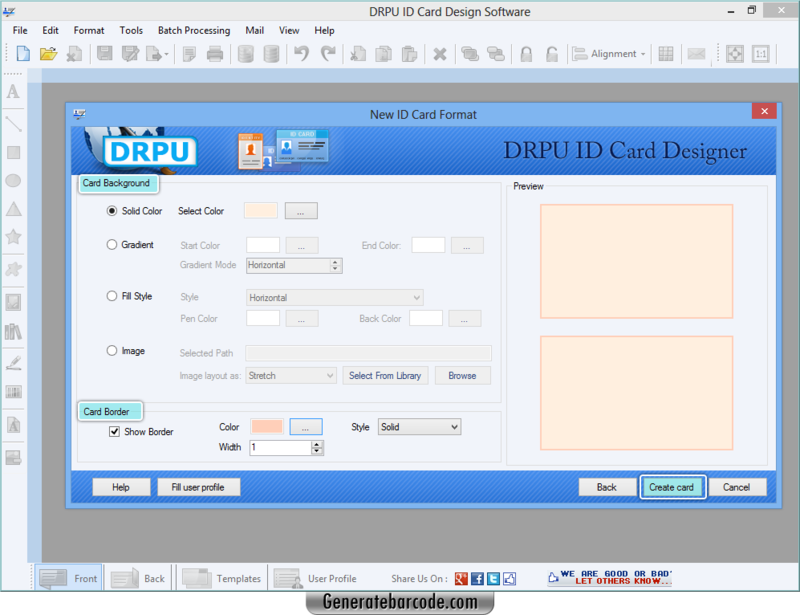 Start one of the option to start ID card designing procedure. 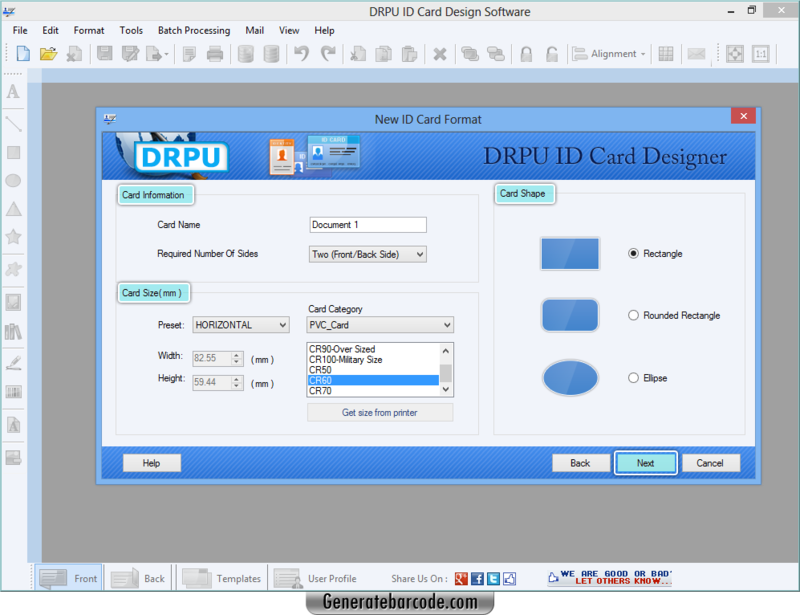 Specify card information, shape and size then click next to continue. 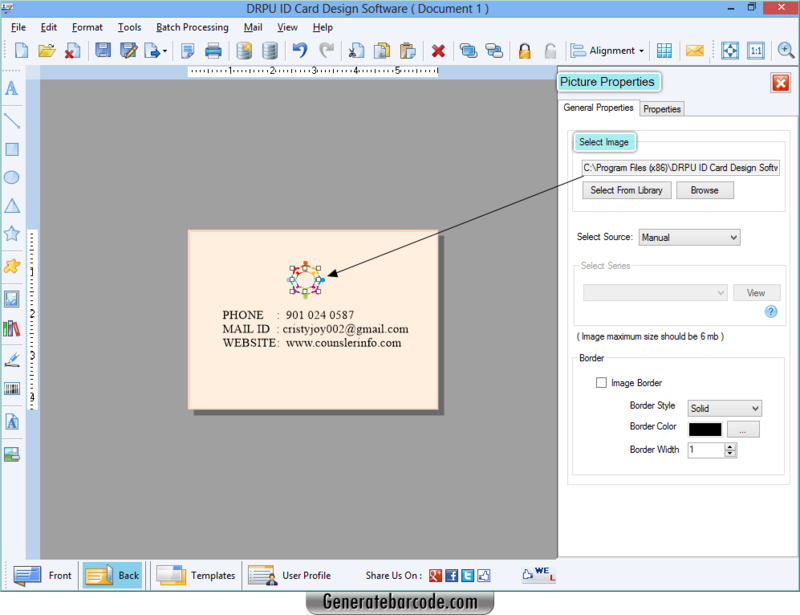 Add card background color with border as per need solid, gradient, style or image and click on create card to continue. 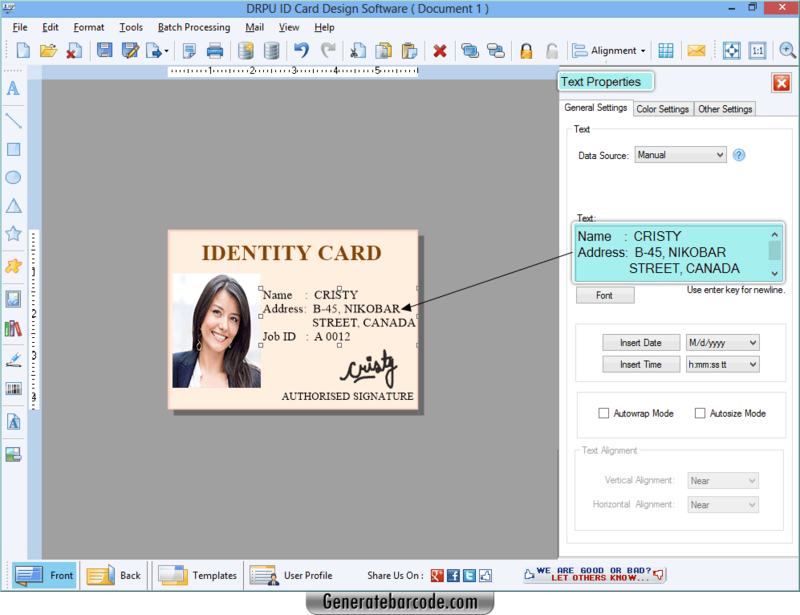 To add text go to text tool from left panel and edit its properties as shown in above screenshot. 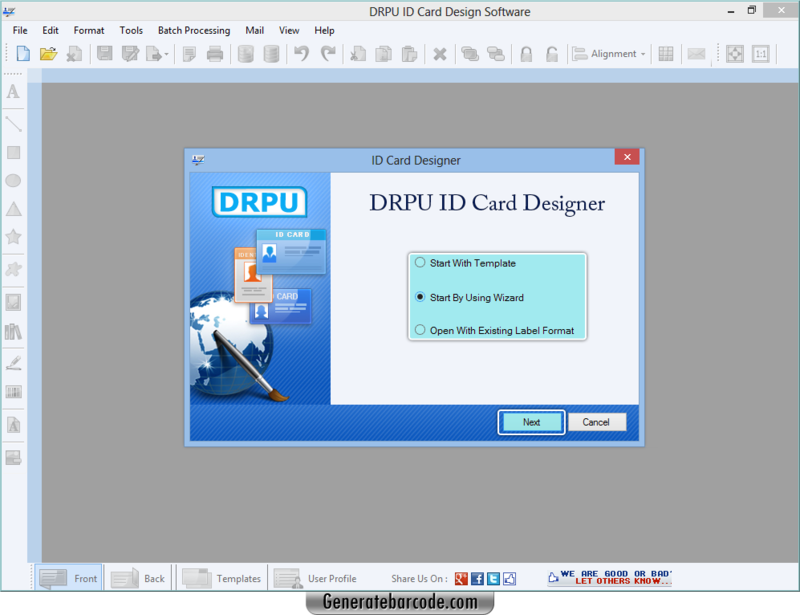 Insert image by browsing its path from library or any other PC location.